Can’t get rid of that earache? Put some warm wood mint leaves in your ear. Strep throat got you down? Sip on some hot mugwort tea. Trouble with arthritis? Opt for yucca root. And that fennel growing all over your favorite meadow? It just might be the perfect dieting trick. Those are just some of the remedies included in Tri-County Medicinal Plant Cards, an easy-to-use collection recently published by Sue Reinhart, who’s been teaching about medicinal and edible plants through SBCC’s Continuing Education program since 2003. This project was seven years in the making, including photography and research on more than 650 species, and the result is cards about 75 common plants (65 of which offer the best curative effects, the other 10 are deadly poisonous) that grow in the Santa Barbara area. They can be sorted in a variety of fashions depending on your needs — from flower color, bloom time, and typical habitat, to which human organ each plant affects and where it falls within the traditional Chinese medicine system. The set also comes with a book that describes how to use the cards and discusses the history, philosophy, and sacred rituals of plant use. 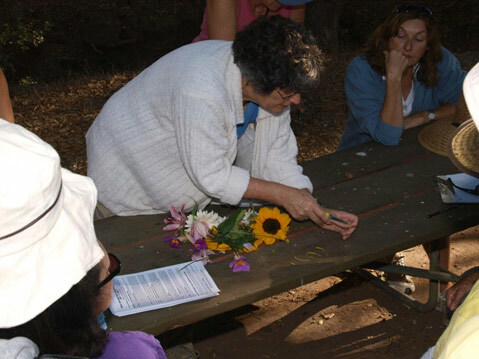 In addition to the native plants used by the Chumash and other Native Americans, Reinhart includes mention of a number of nonnative species — which are often easier to find and usually legal to pick, compared to protected indigenous plants — such as lance leaf plantain, which grows alongside many trails and offers pain relief when rubbed on rashes and bites, and dandelion, which are great for digestive problems and stress. Tri-County Medicinal Plant Cards sells for $45 and can be purchased at Chaucer’s Books on State Street, Tecolote Book Shop in Montecito, and the Santa Barbara Botanic Garden bookstore. Those interested in taking Reinhart’s next SBCC class, which meets every Friday or Saturday and starts on January 20 or 21, should visit sbcc.augusoft.net.